Euthanasia Prevention Coalition Euthanasia Prevention Coalition: Oregon will debate bills to expand the definition of terminal and allow physicians to waive the waiting period. Oregon will debate bills to expand the definition of terminal and allow physicians to waive the waiting period. 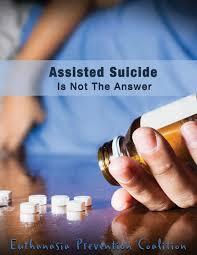 Recently the Oregon assisted suicide lobby stated that they intend to expand the definitions in the assisted suicide law. The 2017 Oregon assisted suicide report stated that number of assisted suicide deaths had, once again, increased. a disease that will, within reasonable medical judgment, produce or substantially contribute to a patient’s death. 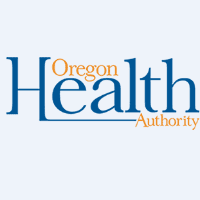 Considering the fact that the Oregon Health Authority (OHA) bases the definition of terminal to include refusing medical treatment, such as a diabetic who refuses insulin, therefore the new definition of terminal has an undefined and nearly unlimited application. Many people who are not close to being "terminally" ill have a disease that will, within reasonable medical judgement, produce or substantially contribute to death. When considering the OHA inclusion of refusing medical treatment, I conclude that this new definition enables wide-open assisted suicide. There may be more concerns with HB 2232. This article is only focuses on the new definition of terminal. Oregon Senate Bill SB 0579 creates an exception to the 15 day waiting period in the Oregon assisted suicide law enabling a physician to wave the 15 waiting period before prescribing lethal drugs for suicide. Notwithstanding subsection (1) of this section, if the qualified patient’s attending physician has medically confirmed that the qualified patient will, within reasonable medical judgment, die within 15 days after making the initial oral request under this section, the qualified patient may reiterate the oral request to his or her attending physician at any time after making the initial oral request. Notwithstanding subsection (1) of this section, if the qualified patient’s attending physician has medically confirmed that the qualified patient will, within reasonable medical judgment, die before the expiration of at least one of the waiting periods described in subsection (1) of this section, the prescription for medication under ORS 127.800 to 127.897 may be written at any time following the later of the qualified patient’s written request or second oral request under ORS 127.840. There may be more concerns with SB 0579. This article only focuses on the waiting period. The Oregon legislature is debating changing the definition of terminal illness to an undefined concept of a disease that produces or substantially contribute to a patient’s death and enabling physicians to wave the 15 day waiting period.